The other day at the Pukeahu National War Memorial Park in Wellington, New Zealand Minister for Arts, Culture and Heritage, Maggie Barry, and Turkish Ambassador, Ahmet Ergin, unveiled a sculpture symbolising the relationship between New Zealand and Turkey. The work includes the well-known words attributed to Mustafa Kemal Atatürk, father of modern Turkey, the ones commencing ‘Those heroes who shed their blood …’ and which include a clause about there being no difference between dead Johnnies and dead Mehmets. As regular readers of Honest History will know, there is no firm evidence that Atatürk ever said or wrote these words. The words were almost certainly invented by Atatürk’s associate, Şükrü Kaya, 15 years after Atatürk’s death, and primarily for domestic Turkish political reasons. The key sentence about Johnnies and Mehmets, however, came from a Gallipoli veteran, Alan Johnston Campbell, in Brisbane in 1977-78. The proliferation of the words since 1985, again, can be put down primarily to the demands of Turkish politics and diplomacy, supported at the beginning by the eagerness of Australia and, rather more slowly, New Zealand, to provide a quid pro quo for the Turks’ renaming of a part of their coast as ‘Anzac Cove’. 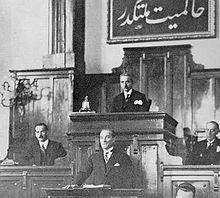 We sent an email to Minister Barry, pointing out where she could become informed about Atatürk’s alleged words – the Honest History site again. The email has been received but there has been no further reply. Since then, Tony Wright of NewsHub New Zealand has described the words as a fraud and discussed politics and provenance with commentator, James Robins. ‘Kiwis who get up before dawn and gather at memorials around the country to honour and remember our military history each Anzac Day don’t deserve to be lied to’, Wright concluded. Wright expects to do a television feature shortly, to further explore the arguments about Atatürk. We look forward to seeing it. 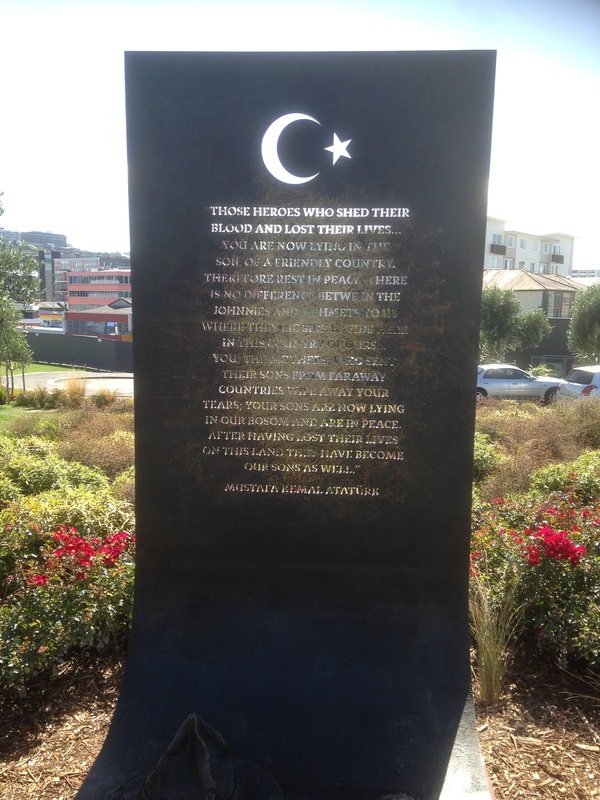 There is already an Atatürk memorial near Wellington, and it has been there since 1990. New Zealand expatriate historian, Ky Gentry of the University of Western Australia, reminded us this week of the history of that one: the memorial was built only after strenuous opposition from local Māori (because the Tarakena Bay site was culturally significant) and New Zealand’s Greek and Cypriot community (because of the Turkish occupation of part of Cyprus). The then New Zealand government persisted with the project because of the potential benefits to New Zealand-Turkish diplomatic and economic relations. It would be a great advance if, the next time an Anzac minister of the crown is confronted by a Turkish representative offering a plaque or bust containing the alleged Atatürk words, the minister were to send a staff member away to do some research on provenance. There is plenty of such information about and (to repeat yet again) the Honest History website is a good place to start. If such research were done we might avoid adding to what the translation expert, Anthony Pym, writing about the words a couple of years ago, called ‘a paroxysm of monuments and plaques, all reinforcing each other, with a certitude that creates its own history’. If some sort of obeisance to Atatürk is necessary, he left plenty of other words to choose from. (One of his speeches lasted for 36 hours over six days.) For example, there is his aphorism about the relations between nations, ‘Yurtta sulh, cihanda sulh’ (‘Peace at home, peace in the world’), which resonates even without the prior spilling of blood. The Honest History Book, now available in bookstores and online, includes a chapter by David Stephens and Turkish academic, Burçin Çakır, on the alleged Atatürk ‘Those heroes …’ words. Towards the end of the chapter we say ‘a trope based on myth is essentially a confidence trick, and the people most gulled by that trick are the bright-eyed children who are pushed forward, in Australia, Turkey and elsewhere, to recite what they have been told are the words of the great Atatürk’. It seems that government ministers can be gulled, too, on both sides of the Tasman.